Man of the Soil. 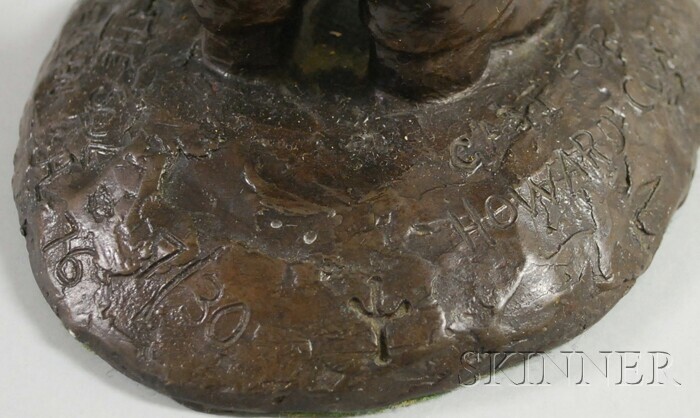 Signed "© J. Hamilton '76," initialed, inscribed "Cast for Howard Cowan," and numbered "7/30." Patinated bronze, 12 1/2 x 4 1/4 x 6 in. Condition: Minor surface dust.